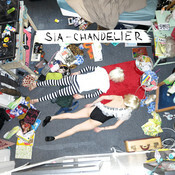 Released on 17 March 2014, Chandelier became a big hit for Australian pop artist Sia Furler. 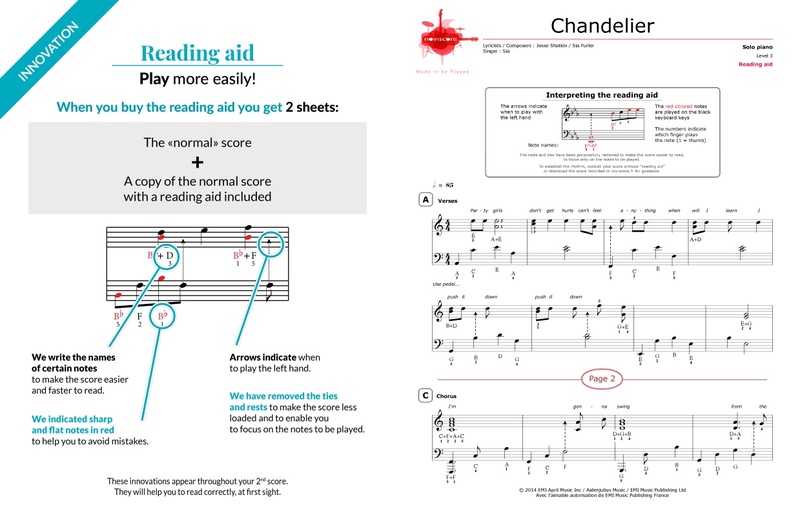 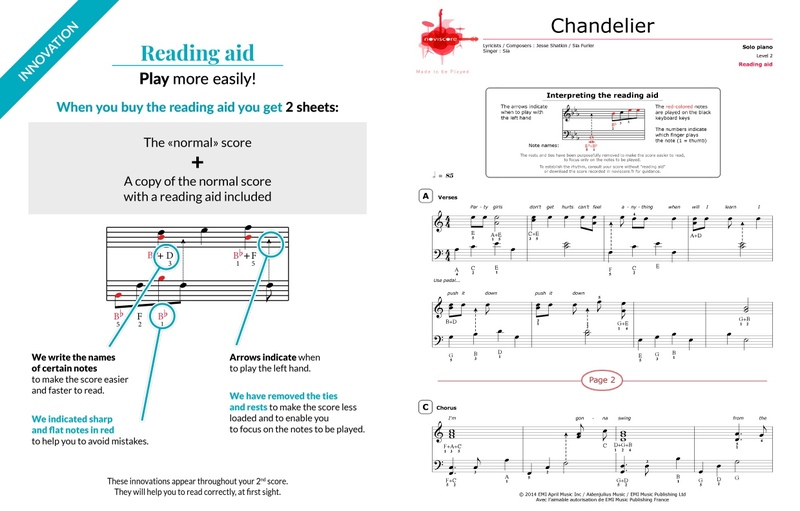 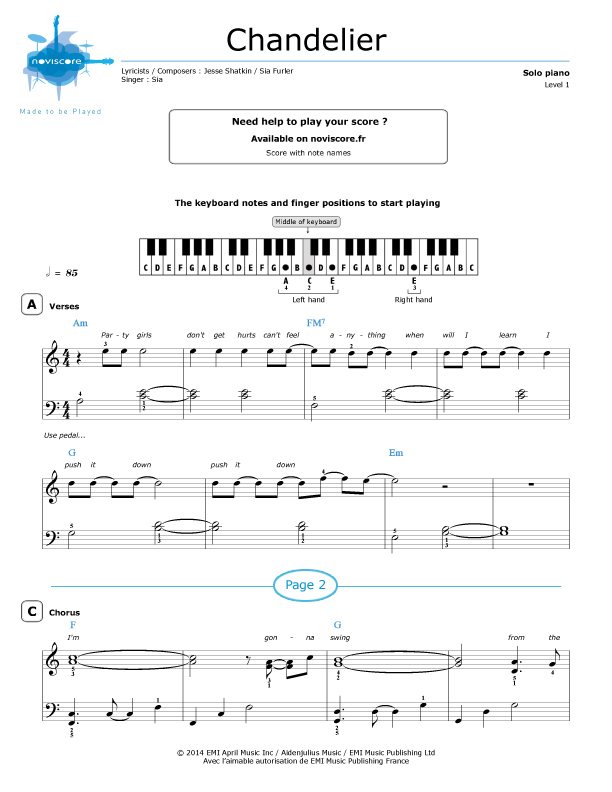 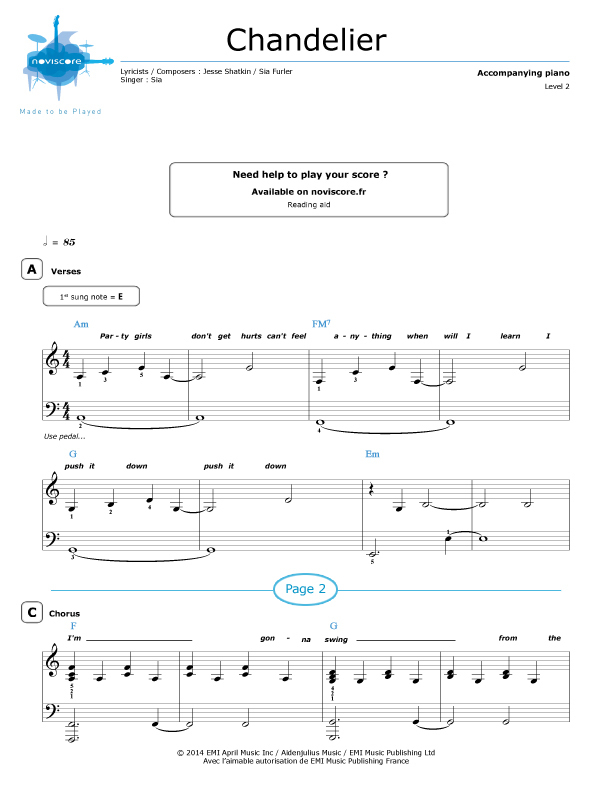 Learn to play Chandelier by choosing the right piano sheet music for your skill level (3 levels) and if you want some help with reading the music, select our easy piano music Level 1 with note names. 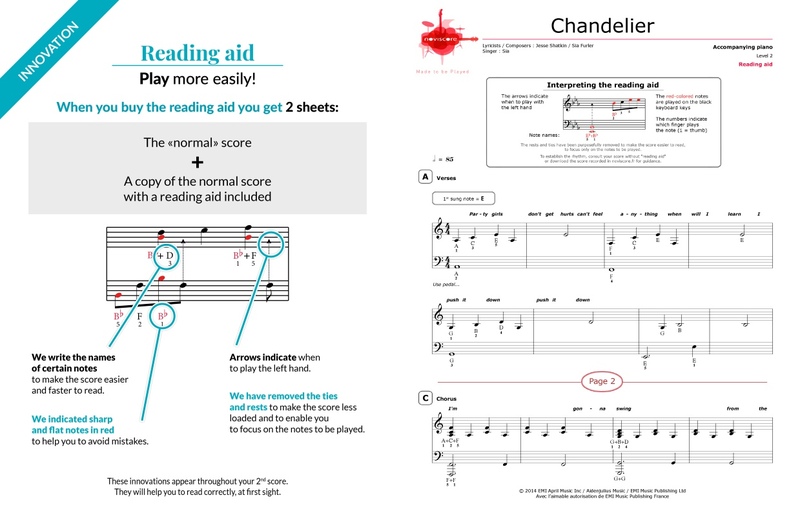 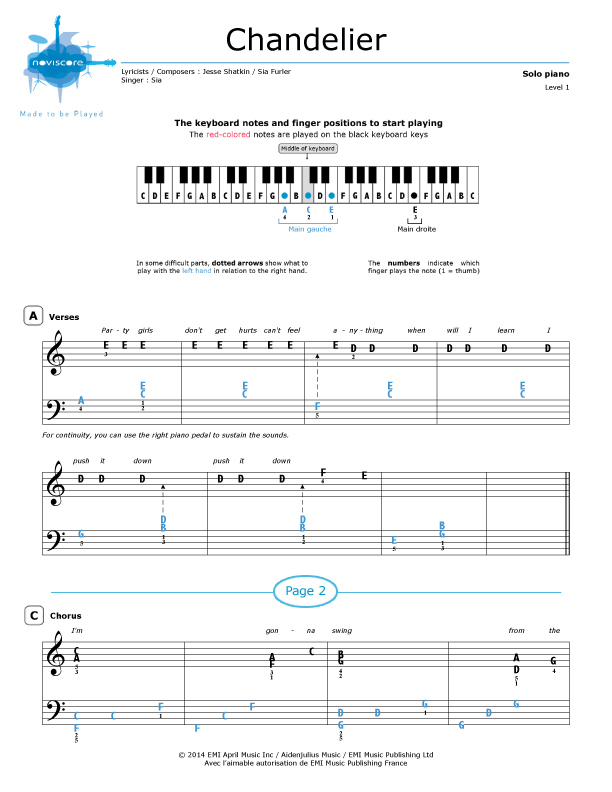 As a bonus, discover the piano solo video Level 3 by clicking here. 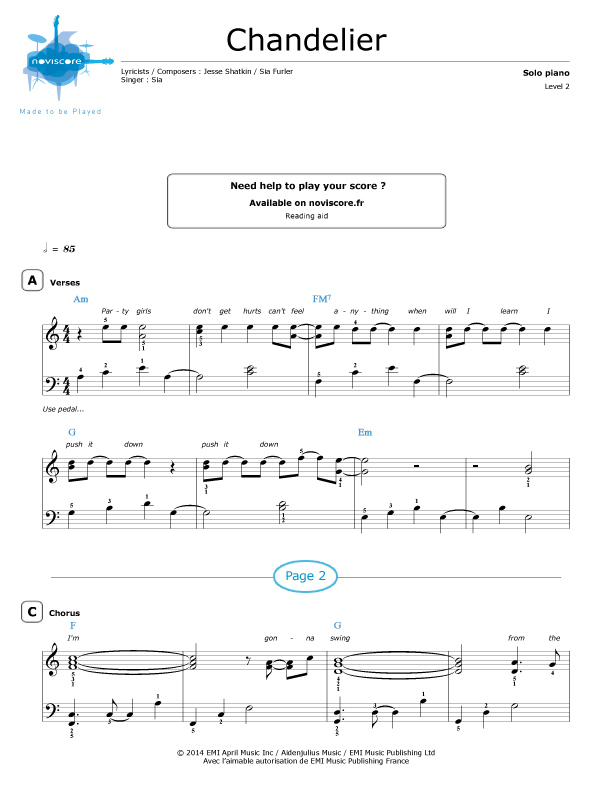 Sia received four nominations at the 57th Annual Grammy Awards (2015) – Record of the Year, Song of the Year, Best Pop Solo Performance and Best Music Video. 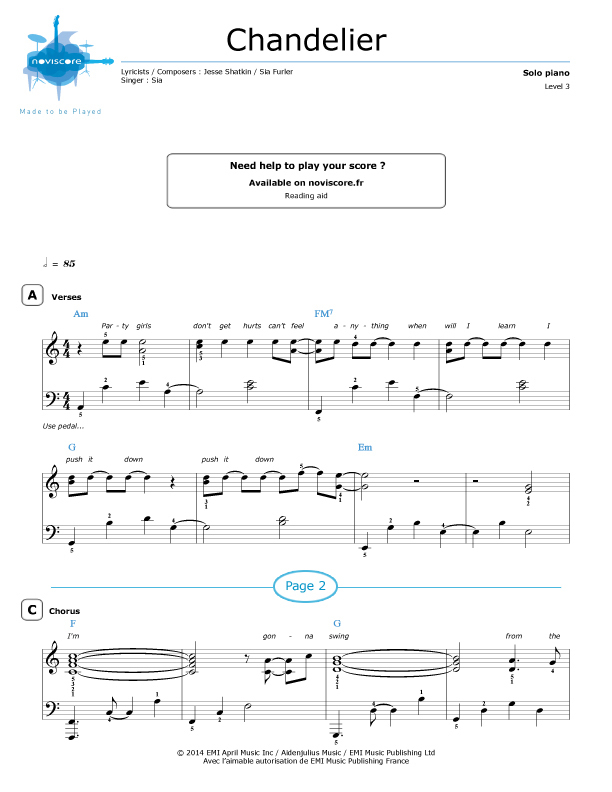 Chandelier features on Sia's 6th album 1000 Forms of Fear released on 8 July 2014 and, as at June 2015, the official video viewings on Vevo showed just under 800 million.